Napier, the heart of the sunny Hawke's Bay has long, deliciously warm summers with temperatures in mid- 20's°c, hotter in February. Perfect for enjoying an alfresco lunch outside at one of the many restaurants nearby in Ahuriri or one of the wonderful local wineries. Winter days are often crisp, clear and sunny. The surrounding ranges become delicately capped in snow. Predicted rain for the region often falls only in the outlying hills but we try to keep that a secret. 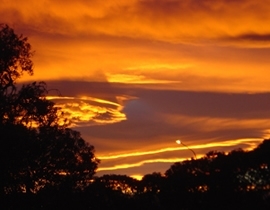 High sunshine hours and favourable winter and summer temperatures are a perfect combination for producers of pip and stone fruit, being the largest producing area of New Zealand and the second largest producer of wine grapes. 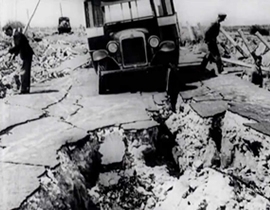 On 3rd February 1931 a massive earthquake struck the Hawke's Bay region virtually destroying the entire Napier city centre and resulting in the loss of 258 lives in the region. 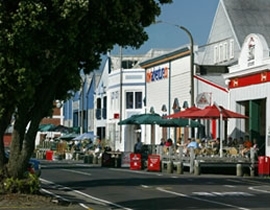 Undaunted, the city was rebuilt over the next two years using the current fashionable art deco style of architecture, giving Napier a new beginning. 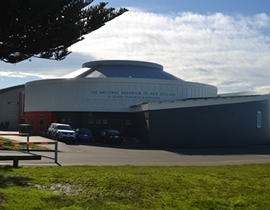 Today, Napier has one of the highest concentrations of art deco architecture in the world and attracts visitors from every corner of the globe. Perhaps the most unexpected result of the earthquake was the rise of the inner harbour. Areas of harbour bottom were exposed as the sea poured out of the harbour entrance. More than 4,000 hectares of seabed became dry land and today this has been developed into residential and industrial property. 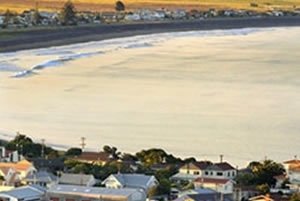 Affordable Westshore Holiday Park is situated on the former site of the Napier Sailing Club. Yachts sailed and fish were caught where our camping ground and Napier Airport now stand. Located just outside our holiday park grounds. A picturesque and fascinating walk. Ahuriri Estuary is one of the most significant estuaries in the North Island. 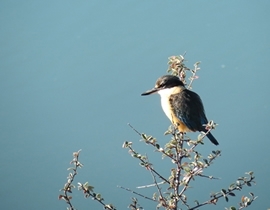 It supports a large interdependent community of birds, fish, mud dwellers and aquatic plant life. 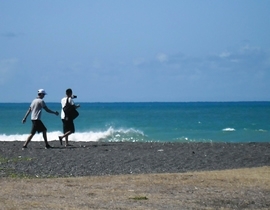 More than 55 bird species inhabit or visit the area, with 29 fish species and 33 mud dwellers or invertebrates. Migrating bird species come from as far away as Siberia and Alaska. Panels containing information on the plant and animal life of the estuary (including details on the history) are sited around the track. The loop track (about 4km) takes approximately 1hr to complete - ideal for the late afternoon when the sun is setting and birds are feeding. 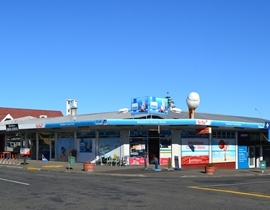 Napier's popular swimming (and sometimes surf) beach. Just 5 minutes walk from Affordable Westshore Holiday Park. Monitored by surf lifeguards during the summer months. Great surfcasting - try your luck!